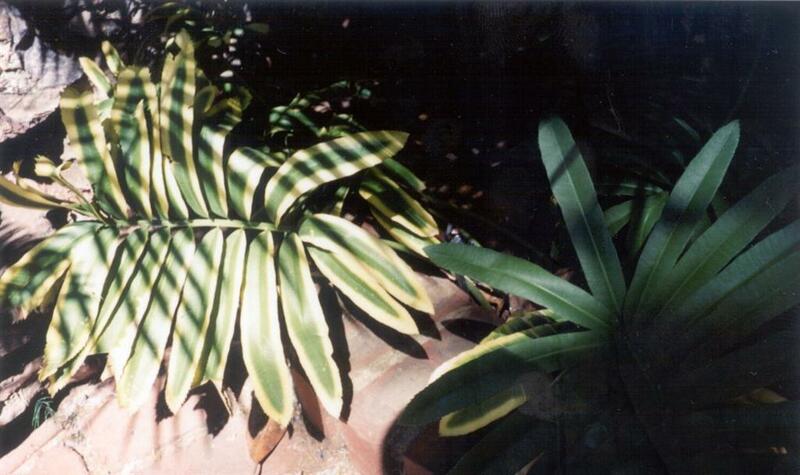 Stangeria is a fernlike cycad plant originally thought to be a fern. Stangeria eriopus is the only cycad species in this genus, and has a subterranean trunk. Click here for a larger version of this photo.